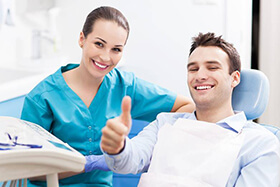 The Advanced Dental Solutions of Pittsburgh dentists and team members are dedicated to helping patients receive necessary dental care without worrying about exceeding their budgets. 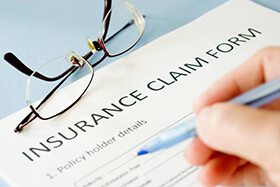 By processing and filing dental insurance claims, we are able to offset the price of treatment and ensure you always have the lowest out of pocket costs. For your convenience, our knowledgeable team members have chosen to provide in-network dental insurance benefits for a variety of treatment plans, including Delta Dental. When you call to schedule your first appointment in our Pittsburgh dental office, please be sure to let one of our experienced team members know about your Delta Dental benefits. We’ll be happy to work with you to maximize coverage from your very first visit to our office. Like other PPO dental insurance providers, Delta Dental plans offer coverage for a wide range of preventive and restorative dentistry services in exchange for the payment of monthly plan premiums. However, no two Delta Dental plans will be exactly the same. For this reason, we’ll need to review your specific policy before offering accurate estimates of your out of pocket treatment costs. In most cases, you can expect to receive 80 to 100% coverage for preventive dentistry services like checkups and teeth cleanings. Minor restorative dentistry services like fillings are covered 70 to 80%, and more advanced restoration treatments like dental crowns are covered 50 to 70%. As an in-network provider for Delta Dental, has agreed to charge fees for covered treatments that fall within Delta’s set price range. That means you will only be responsible for the out of pocket percentage of the cost of your dental care. An out of network dental office can charge fees that are higher than those outlined by Delta Dental, but you will need to pay the difference in pricing as well as the out of pocket treatment costs. In most cases, these differences in cost are relatively low, but you won’t need to worry about these added fees when you trust our skilled in-network dental team with your oral health care needs. We are also familiar with your plan’s annual treatment maximums, so we can help you plan for dental care that makes the most of maximum coverage amounts for individual services without exceeding your plan’s available benefits for the year. We have an unstoppable trio that helps patients with all of their dental insurance, financing, and scheduling needs. Chelsea, Rhonda, and Jaime are our patient care coordinators, and they’re always happy to answer questions about your Delta Dental policy or any other insurance plan coverage. They are both friendly, knowledgeable, experienced, and here to help with all of your questions about dental insurance and financing options. 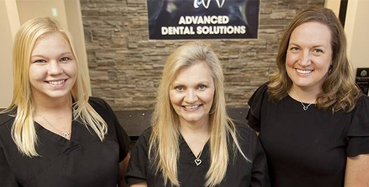 Please don’t hesitate to reach out to our office anytime with questions about your dental benefits, and don’t hesitate to ask Chelsea, Rhonda, Jaime, or any of our team members if you have questions during a dental appointment.